PLYMOUTH Leander’s Honey Osrin was a medal winner for England at the FFN Gold Tour International Meet in Nice. Osrin was part of 20 young swimmers selected to represent England at the meet, along with Mount Kelly’s Sam Dailley and Robbie Jones. Plymouth Leander’s Robin Armayan was also part of the coaching team. Osrin is currently ranked in the world’s top 10 under-18s at the 200m backstroke and that was the event she medalled in at the Nice meeting. She clocked an impressive time of 2:15.37 to win overall bronze. That was one of only three senior medals the young England team picked up. Osrin also won the open B final in the 200m IM with a time of 2:20.27. She was also second in the junior final of the 50m freestyle with 27.30 seconds and third in the junior 200m freestyle final with 2:06.38. Dailley, another athlete currently flying high in the early world under-18 rankings, won the junior 200m butterfly final in 2:04.21. He was also third in the junior 50m freestyle final (24.19) and reached the 100m and 50m butterfly junior finals. Jones reached the 400m freestyle open B final with a 4:36.58 heat swim. He also claimed second in the junior 200m backstroke final and reached the junior 100m back final. 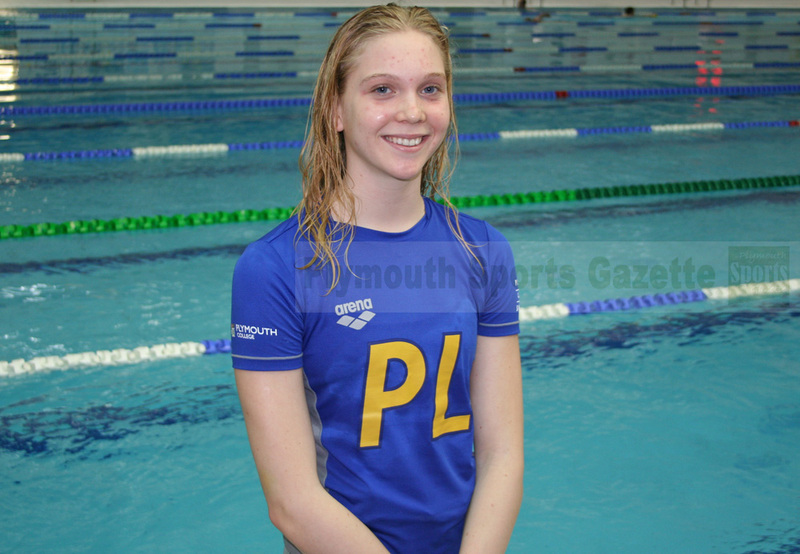 Meanwhile, Caradon swimming club have enjoyed success at the Cornwall County ASA Championship which have been held at Penzance and Bodmin over the last few weekends. The club took 42 swimmers to the competition and achieved 55 medals – six gold, 27 silver and 22 bronzes – and 15 further final places and 205 personal bests. Jackson Spry led the way by becoming county senior champion in the 100m and 200m backstroke events. He won the 200m event by an impressive seven seconds. Oliver Naylor become 50m breaststroke and 50m backstroke champion in the 15-year-old boys’ category, while Olivia Shute took the county 13-year-old girls’ 50m backstroke title and Mia Taylor the 10/11 year-olds’ 100m breaststroke gold medal. There was also a special award for Aegean Bramley, whose success throughout the competition was recognised with the CCASA Kernow award for top girl 16 years and over.